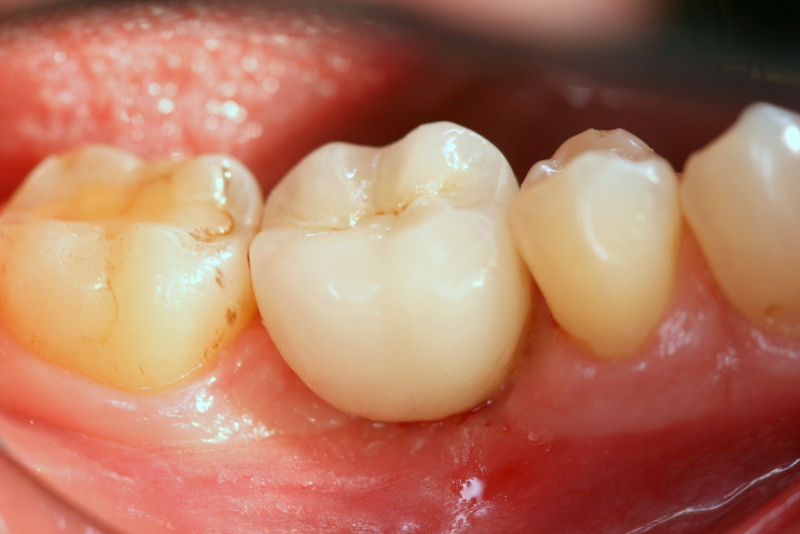 This patient had lost a lower molar and had a large space. 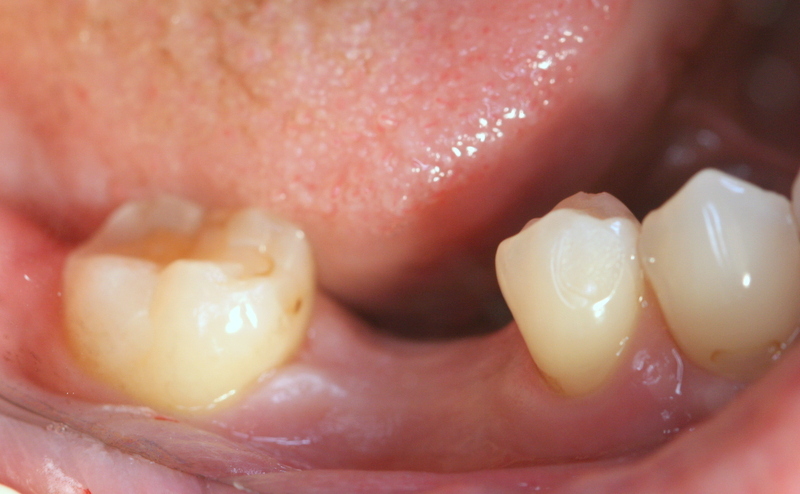 To restore with a bridge would have involved grinding down the adjacent teeth and exposing them to the risk for trauma and root canals. 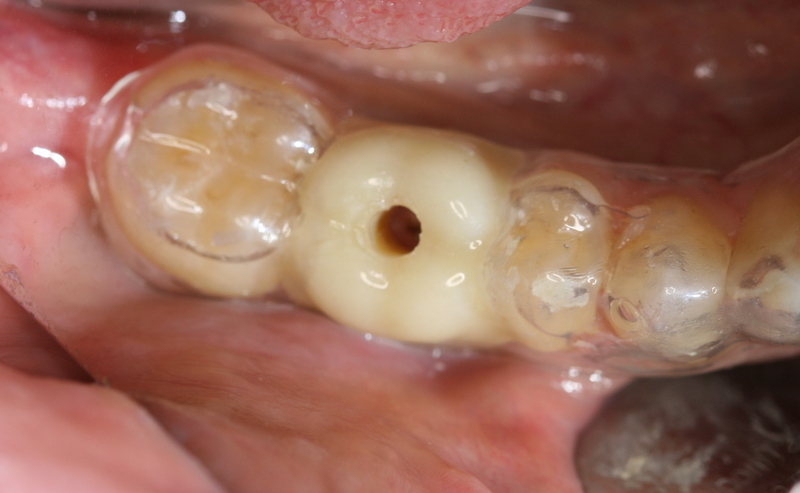 The patient chose to have a metal-free Zirconia implant placed. A surgical stent was used to guide the surgery for the placement. 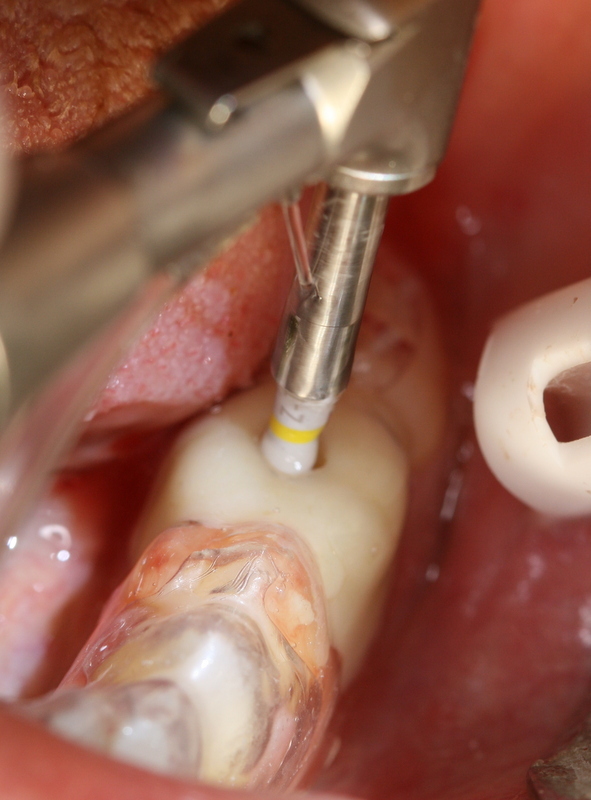 The surgical stent from a different angle, demonstrating the pre-determined angle of penetration for optimal and safe placement of the implant. The implant after 4 months of healing, ready to be restored. 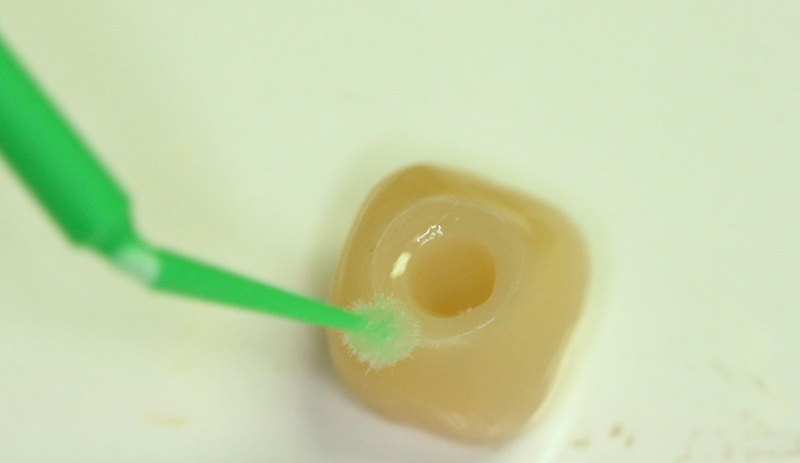 2 weeks later the full metal-free Zirconia-based crown is ready to be cemented in place, and is being primed. 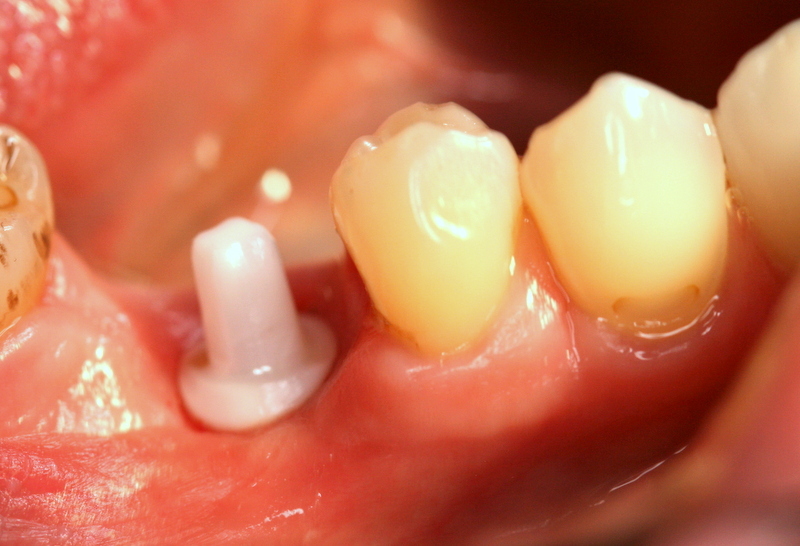 What is the cost out of pocket to replace tooth wlth Metal Free Zirconium Implant ? Thanks for the question – the office will get in touch with you.